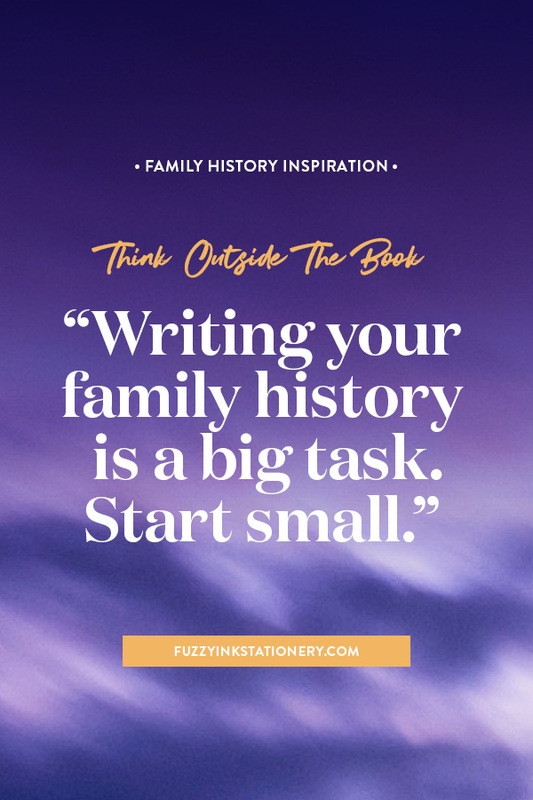 Writing your family history is a big task. For many of us, it comes after 10 to 20 years of research and hundreds, if not thousands, of ancestors. Phew, that sounds like a daunting project, doesn’t it? And it can be. All those ancestors are vying for your attention and want their story told. So start small. 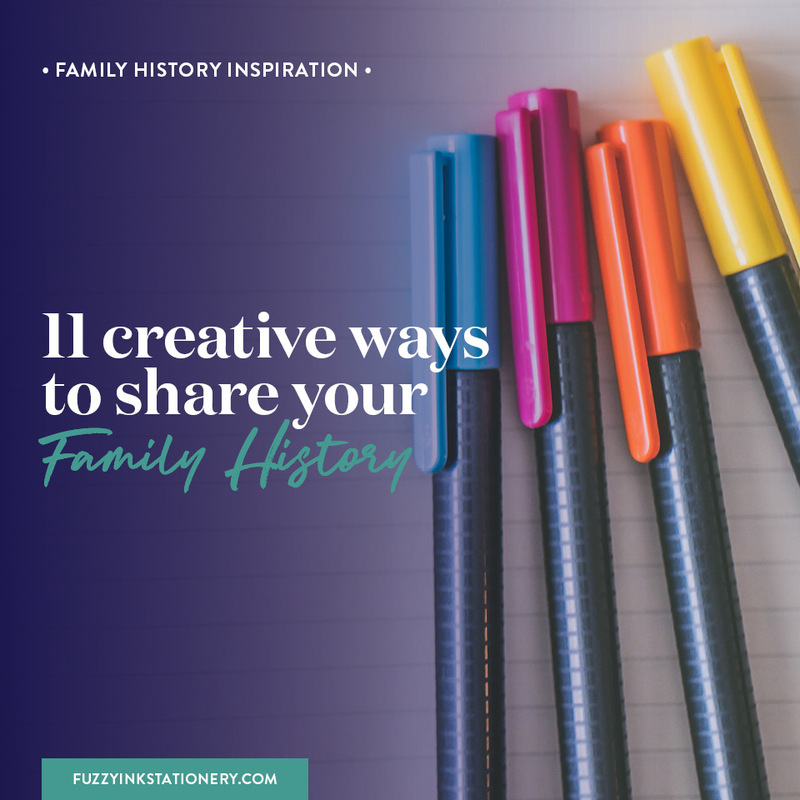 Begin with just one ancestor and tell their story in manageable snippets. In the same way that you share your narrative every day (or week or month) on Facebook or Instagram. 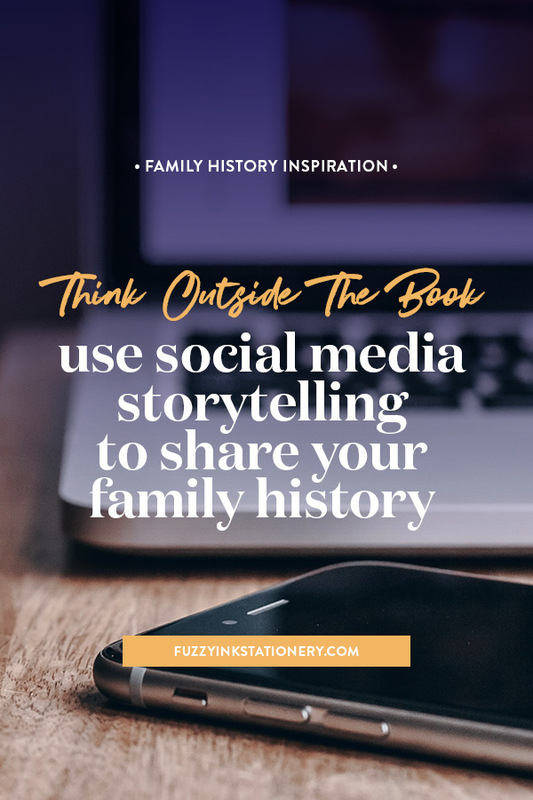 Embrace social media storytelling to begin your family history, and turn your relatives into an engaged and eager audience. Yes, social media often has a bad reputation because many people jump into it and then abandon it quickly. All without taking the time to learn how to use the platform of choice to your advantage. And that’s something which is super frustrating when using it as a research tool. Have you tried using social media for research? My experience is that its hit and miss. I have a series of successes and then discover abandoned Facebook page after abandoned Facebook page. Right back to square one! But what if you were using it intentionally to share stories? Not just to share random photos or memes but to tell your family history? If you were using the platform to create a family community and for social media storytelling? Social networks aren’t about websites. They’re about experiences. 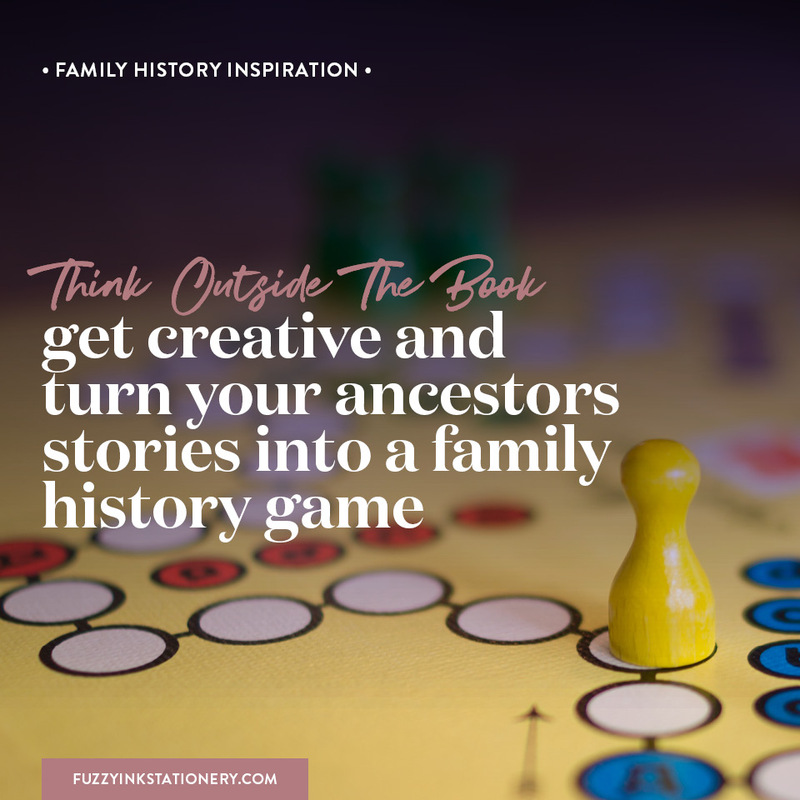 So let’s think outside the book and explore if social media storytelling is suitable for sharing your family history. Social media storytelling, what does that even mean? Social media storytelling is what it sounds like, telling stories through the use of social platforms. And that is pretty much used for that purpose already, though not always intentionally. What we post often reflects our mood whether it’s boredom, excitement or because we want an answer to a question. Whatever the reason, we will post to a social platform like Facebook or Instagram. And in the same way that sentences build together to tell a story, so do those posts. Whether or not we are aware of it, we are using social media to create a picture of our lives. If we approach it intentionally, then we can control the story we are telling. Social media storytelling may be seen as a non-traditional method because the format isn’t always linear. And traditional stories usually are. They start with the beginning, you progress to the middle and arrive at the end. Sound familiar? Because that’s the same pattern, we see as we look at our ancestors’ lives. However, just because our family histories evolved linearly doesn’t mean that is how we have to tell them. Are you using social media as a research tool? Are you already a member of a family run Facebook page or group dedicated to familial discoveries? I’m in a couple, and they have been a fantastic source of information and stories. One of the groups is fantastic. The group owner is very active, and everyone contributes. So while there is no specific order to how each person shares their knowledge, the engagement is incredible. It’s been a fantastic forum for collaborations, sharing research and working through theories. For me, social media has been fantastic for connecting with relatives. I broke through a brick wall thanks to Facebook, and I’ve discovered photos because of Instagram. Social media platforms have been another avenue to explore for research purposes, but could it also work to sharing a family history? Have you considered social media storytelling? Compared to those options, social media storytelling is the fastest way to get content to your audience. Why? It’s because social media is already a part of our day-to-day lives. With the other options, you need to create interest and traffic. Depending on your platform choice, with social media, your audience is already there. 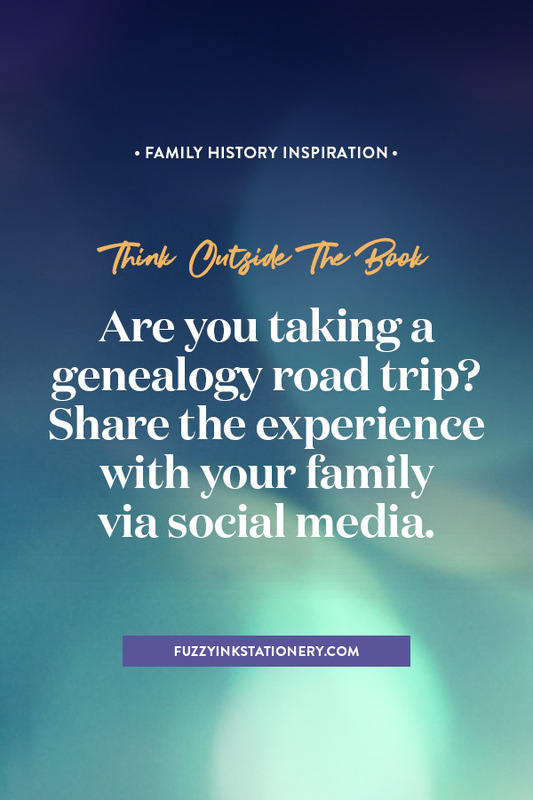 Are you thinking about taking a genealogy road trip? Share the experience with your family via social media. A post a day, an hour or just in every new location. Share your photos, videos and thoughts about what it’s like to walk in your ancestor’s path. Or are you spending a day at the archives? Share the highs and lows of the adventure. Create an episode of your favourite genealogy documentary series starring you and take your relatives along via social media. Where are your ancestors hiding? Is that their name in a document? Who can read this writing? Suitable for short bursts of information (photos, stories, audio, video) so it’s perfect for tackling one ancestor or event at a time. Break it up into a series or season to encourage your audience to ‘check back tomorrow’. No software purchases required. It’s available to everyone who registers for a free account. It connects us to immediate and distant relatives in the same way. It’s interactive as your audience can comment, participate in polls etc. It’s very visual and provides the opportunity to show off the ‘behind-the-scenes’ side of the genealogy journey as well as the stories. Your audience can read or watch the content when it suits them. Your descendants will be a part of the technology generation, so you want to publish the stories where they hang out. Using any social media platform means that you are publishing content to a forum that you can’t control. So, if that platform goes away then so does your content. Privacy and copyright may be an issue. Make sure you read the terms of service of each platform you intend to post on. Wherever possible, review the privacy and security settings of your account so you know who can see what you post. It’s online only, so no offline option for people not connected. There are limited formatting options for large blocks of text, and it isn’t possible to intersperse images throughout the copy. Which platform is the right one to use for social media storytelling? Each platform works differently to appeal to specific audiences. We have the choice of Facebook, YouTube, Instagram, Google+, Pinterest, Twitter to name a few. None of these is specifically for social media storytelling, so we need to be creative if that’s our purpose. That led me on an adventure to explore the leading platforms to see how they might work for this purpose. The two stand-out features are the ability to add PDF files and search the content. This feature makes it easy to create downloads for offline use and to double check that no one else has posted your question, photo or story. Hashtags. 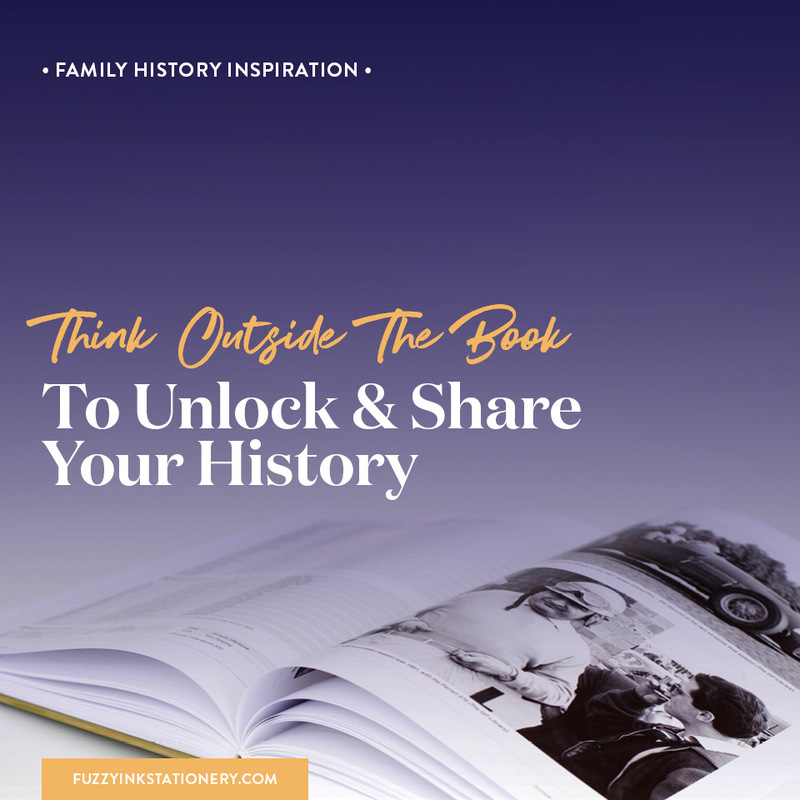 Not only are do they make it easy to search Instagram but you can create one specific to your family history. Instagram is popular across generations, so it’s a great way to start to engage the younger generations. Show off your wizardry with Instagram stories and start sharing intriguing family facts that will leave your audience wanting more. The video is visual it’s a great medium for reading your stories to a slideshow of images. Or to introduce your audience to their relatives, conduct interviews and share other family history related adventures. Before you start creating accounts, plan out your approach. Which social media platform would be the best one to use to share your family history? The type of content will you include? The focus of the content? Who will be able to contribute content? Which platforms are the contributors already using? Which social media platforms are your audience hanging out on? And remember that social media is visual so include lots of images, even ones you create yourself in programs like Canva.com. After exploring the options, I wouldn’t use it as the primary way to share my ancestors’ stories. I think it’s a fantastic secondary option, particularly if planning a family reunion. It’s a great way to share teaser content, clarify information and share the odd news flash after the event. 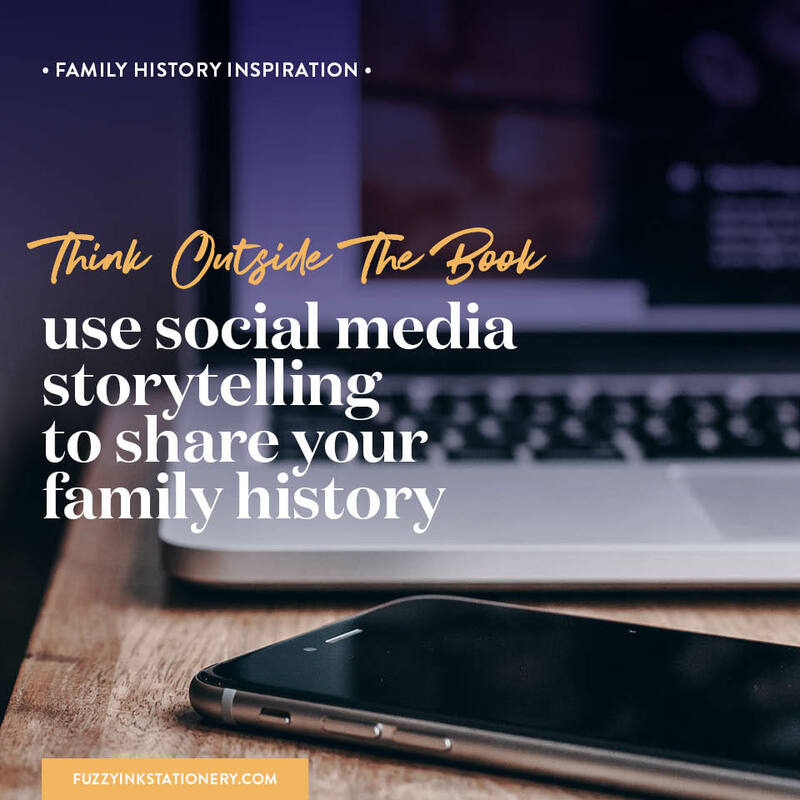 Leave me a comment below with your thoughts and let me know if social media storytelling a feasible way to share your family history? 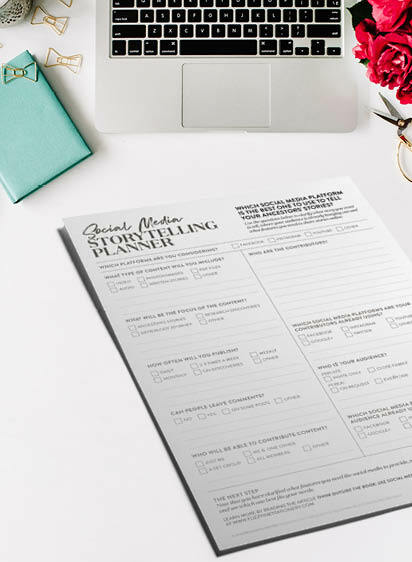 ​Getting started can be the hardest part of any project ​​but the ​​FREE ​​​Social Media Storytelling Planner​ printable PDF will help you g​et organised before you ​begin.